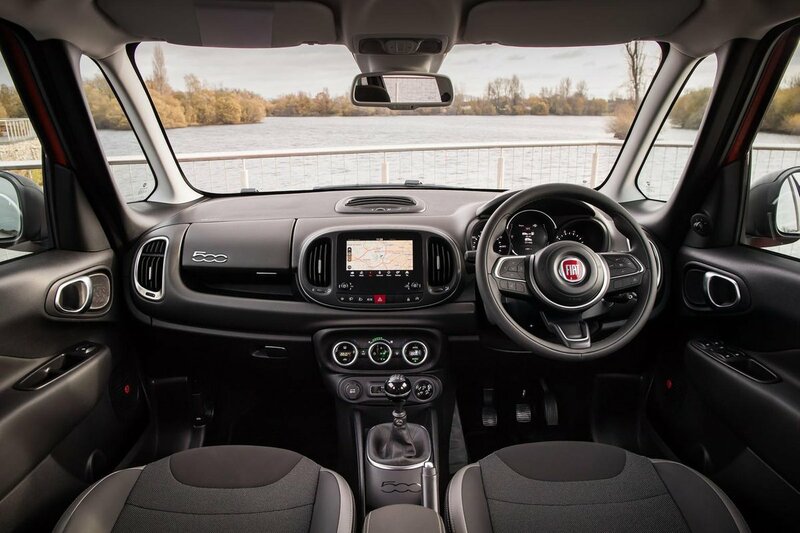 Fiat 500L Interior, Sat Nav, Dashboard | What Car? The 500L’s upright stance may not be for everyone, but it does ensure a comfortable upright driving position for the driver. Also helping is plenty of steering wheel adjustment, as well as lots of manual adjustment for the driver’s seat, including standard height adjustment. That said, you have to pay extra for lumbar adjustment on all models. The seats themselves are relatively comfortable, though, and the pedals line up nicely with the driver’s seat, so you aren’t forced to sit at an awkward angle. The dash has been sensibly designed and nothing is set frustratingly far away from the driver. Another advantage of the 500L’s tall stance is its good visibility. Tall windows and thin pillars on all sides mean the view forwards is extremely good, while looking over the shoulder reveals a similarly clear line of sight. It’s the same story through the side windows for easier judgment of roundabouts and junctions. 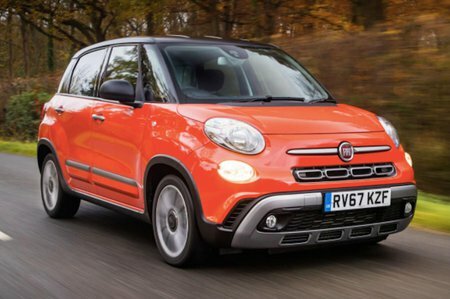 Unfortunately, though, the 500L doesn’t get rear parking sensors as standard until you step up to Lounge trim, and even then a rear-view camera remains an option. On entry-level Pop Star trim, cars can have parking sensors added as an option, but a rear view camera is not available due to the small 5.0-inch infotainment system. The 5.0in Uconnect touchscreen (standard on entry-level Pop Star models) is very small, but it's mounted high on the dash, so you don't need to divert your eyes far from the road to see it. However, some of the menu icons are small and there can be a delay when selecting a function. All models get Bluetooth, DAB radio and a USB slot. The new Live infotainment system with its 7.0in touchscreen (which comes as standard on Lounge models) is a far superior system. Its high definition screen and logically laid out menus makes navigating different utilities a relative breeze. And if, like us, you don’t like using in-built navigation systems, Apple CarPlay and Android Auto allows you to use your phone as the main infotainment hub. The 500L’s dashboard has chunky switchgear, nice bright colours including the large front section, and colour that continues on the door trims on more expensive models. The trouble is, aside from the soft-touch front section, the plastics on the top and bottom of the dash feel cheap, while the switchgear doesn’t feel as substantial as the best rivals’. 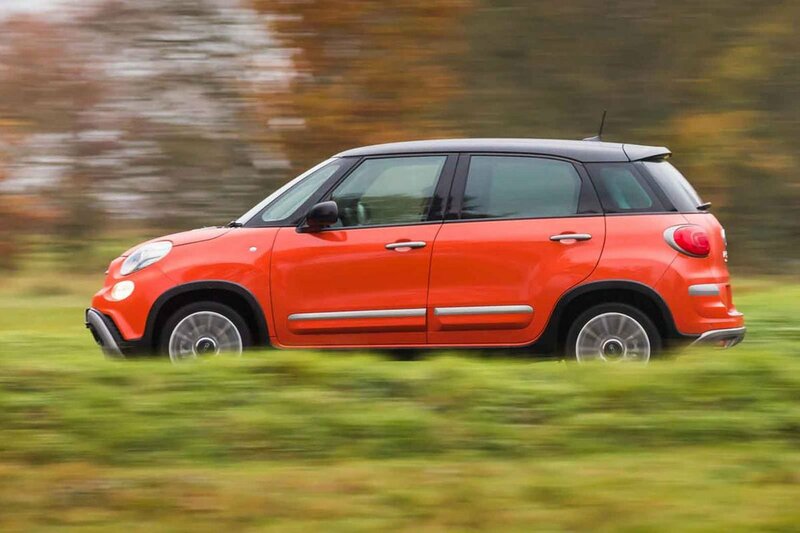 In fact, compared with the more expensive Mini Countryman, the 500L feels rather half-rate.